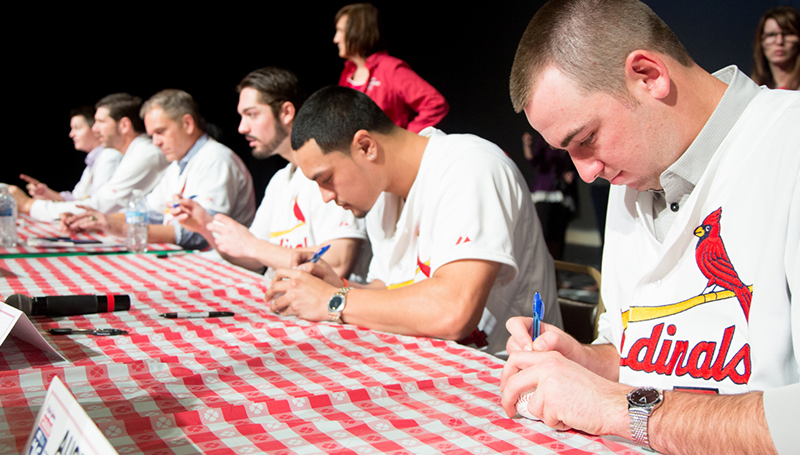 The annual St. Louis Cardinals Caravan will make a stop in Joplin at noon Saturday, Jan. 13 in Taylor Performing Arts Center at Missouri Southern. Fans will have a chance to hear from players, and autographs will be available for children. More information about the event – including which players will attend – will be available after the first of the year. For more details, visit www.cardinals.com or call 417-625-9777.